"Absolutely phenomenal!!! Patti and Dan's professionalism far surpassed all expectations. The whole experience had a sense of family feel and they gave a feeling of complete ease / confidence through the whole process. Always a phone call away and in constant communications. Very genuine, caring, honest and sincere! Wonderful people and personalities. Exceptional excellence in knowledge, experience, preparations and would encourage you to choose The McCarty Team...................was the best decision by far!" "I feel as though I hit the jackpot when I hired Patti and Dan McCarty to list my home in Huntington Woods. I immediately connected with them both and it felt like the perfect match! They sold my home in 13 days! Both Patti and Dan were very professional, responsive, knowledgeable and extremely helpful through the entire home selling process from our initial meeting to the final closing. It could not have gone more smoothly. At times the process was very stressful for me and they were not only understanding but very patient making the whole endeavor a positive one. I feel like they are family and will recommend them to everyone I know." " Having not sold a house in 40 years, it was refreshing to have Patti and Dan help us through the process, guiding us with gentle hands and expert advice. The openness and honesty shown, made us so glad we chose them to help us with the sale of our home. They were responsive and eager to get the house on the market as they knew we needed to move as quickly as possible. Pictures and website release were done as promised, an immediate open house brought many potential buyers in to look and an offer was received within a day of the listing. The whole process has been enjoyable with their expert advice and experience making us feel we were dealing with friends and more than just clients to them." "The McCarty team was phenomenal to work with! Patti and Dan will make you their top priority so you can find the perfect home that fit your needs. They are both very responsive and will go out of their way to work for you, whether that be walking through a million houses or putting in offers at 10p.m at night. My husband and I cannot wait to work with the two of them again in the near future." "Patty McCarty was exceptional during our house hunt. She was attentive to our needs, listened carefully to our wish list, and helped us evaluate each house vis-à-vis our expressed 'must-haves' and 'wants'. Our toddler son was with us during the search, and Patty was always friendly with him and accommodating. She was present at all meetings between buyer (us) and seller, and helped us understand what each process entailed. We enjoyed being around Patty; her passion for the job is matched by her authentic and nurturing personality. You will be able to share with her more than your likes and dislikes in homes, she is that kind of realtor-person!" "Patti & Dan McCarty have been a wonderful realtor team to work with in selling my home. The McCarty Team was very sincere in their approach with us, and gave us realistic answers to our questions and concerns, rather than giving us answers that sounded better. When the house sold they communicated how the process worked and kept us updated on each stage. They clarified all questions we had, and handled the sale in a very professional manner. In their hands the process went very smoothly. I highly recommend using the McCarty Team when looking for a realtor. It felt like we were working with a friend, that gets good results!" "Patti was a pleasure to work with for both buying and selling during our summer move. She was always on top of everything, great to communicate with and really made the whole process a breeze compared to how we imagined it might be. Our house sold on day 1 at full list price! On the buying front, her daily updates were great and she was was always available to show any houses we wanted to see at a moments notice. I would recommend Patti and the Mccarty Tem to anyone trying to make the big move!" "The McCarty’s were quite knowledgeable about the local real estate market. They recommended a listing price that proved to be both realistic and satisfactory to us, and we were very pleased that the house sold in just a few days. 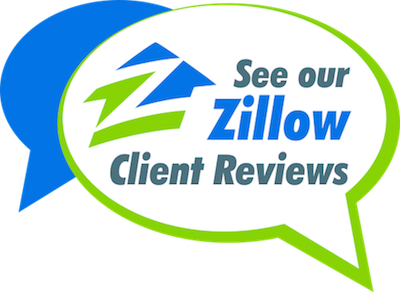 They were responsive, patient, and helpful with our various questions about the intricacies of the real estate transaction and they made helpful suggestions to us throughout the process." "Dan and Patti did an excellent job listing and selling our home. They not only met our expectations, they exceeded them! We were given updates every step along the way. All of our questions and messages were handled and answered immediately, and always in a professional and courteous manner. They were there for us every step of the way, from the first meeting all the way through to closing. Thank you, Dan and Patti, for your dedication and outstanding service!" To read more reviews, click below to read them all on Zillow!